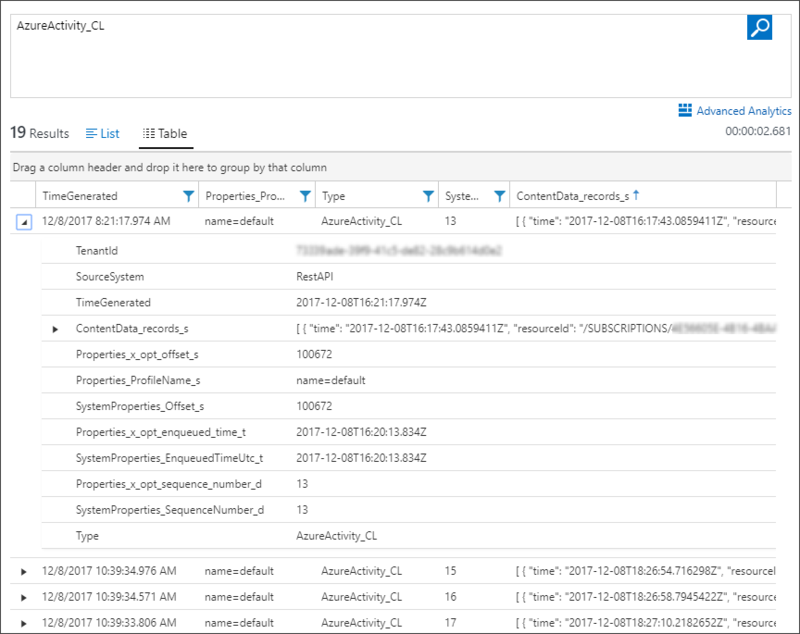 This article steps through a method to collect Azure Activity Logs into a Log Analytics workspace in Azure Monitor using the Azure Log Analytics Data Collector connector for Logic Apps. Use the process in this article when you need to send logs to a workspace in a different Azure Active Directory tenant. For example, if you are a managed service provider, you may want to collect activity logs from a customer's subscription and store them in a Log Analytics workspace in your own subscription. 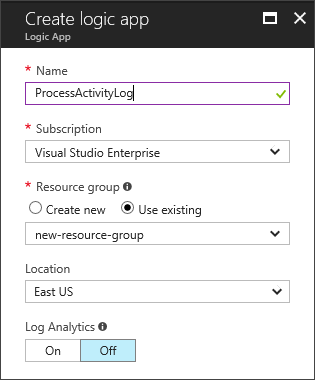 If the Log Analytics workspace is in the same Azure subscription, or in a different subscription but in the same Azure Active Directory, use the steps in the Azure activity log solution to collect Azure activity logs. The strategy used in this scenario is to have Azure Activity Log send events to an Event Hub where a Logic App sends them to your Log Analytics workspace. Low latency since the Azure Activity Log is streamed into the Event Hub. The Logic App is then triggered and posts the data to the workspace. Minimal code is required, and there is no server infrastructure to deploy. Export activity logs to an Event Hub using Azure Activity Log export profile. 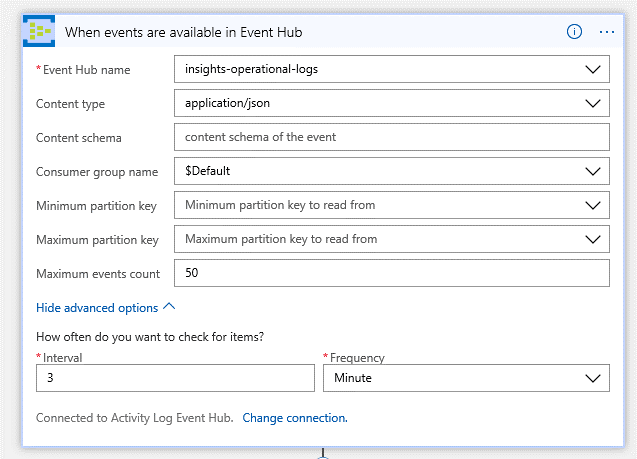 Create a Logic App to read from the Event Hub and send events to Log Analytics workspace. Following are the requirements for the Azure resources used in this scenario. 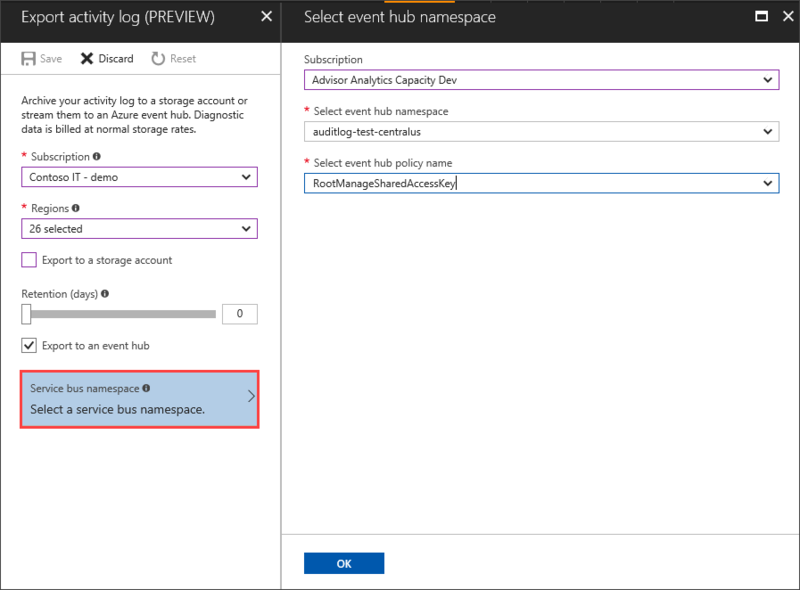 The Event Hub namespace does not have to be in the same subscription as the subscription emitting logs. The user who configures the setting must have appropriate access permissions to both subscriptions. If you have multiple subscriptions in the same Azure Active directory, you can send the activity logs for all subscriptions to a single event hub. The Logic App can be in a different subscription from the event hub and does not need to be in the same Azure Active Directory. The Logic App reads from the Event Hub using the Event Hub's shared access key. The Log Analytics workspace can be in a different subscription and Azure Active Directory from the Logic App, but for simplicity we recommend that they are in the same subscription. The Logic App sends to the workspace using the Log Analytics workspace ID and key. 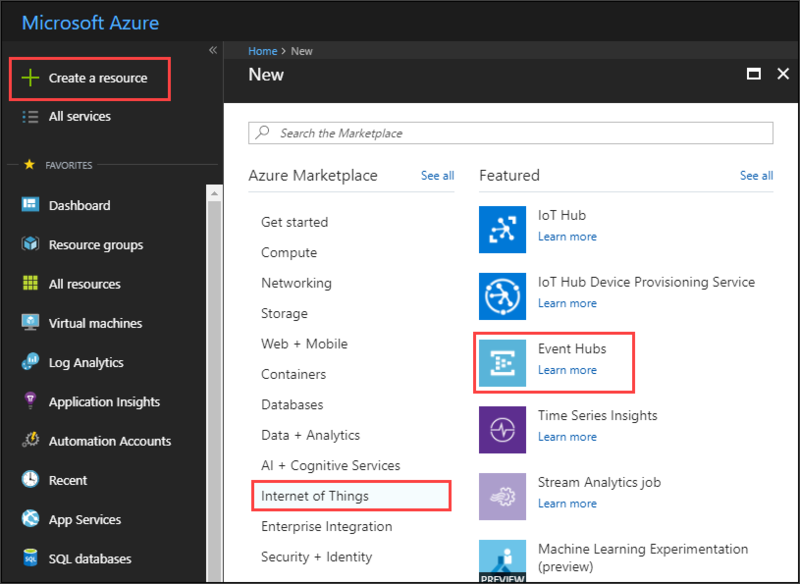 In the Azure portal, select Create a resource > Internet of Things > Event Hubs. 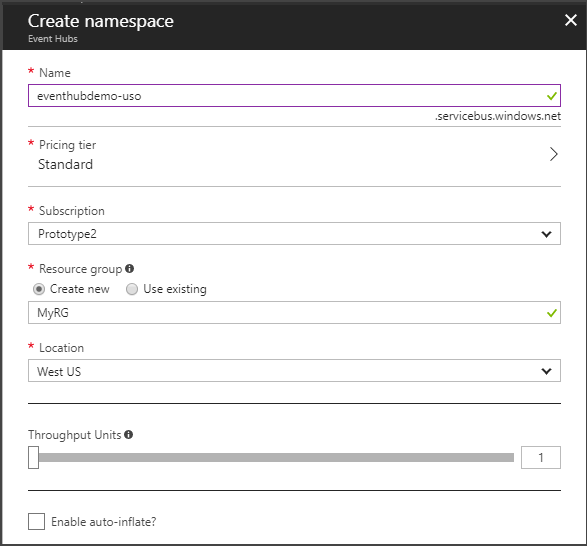 Under Create namespace, either enter a new namespace or selecting an existing one. The system immediately checks to see if the name is available. Choose the pricing tier (Basic or Standard), an Azure subscription, resource group, and location for the new resource. Click Create to create the namespace. You may have to wait a few minutes for the system to fully provision the resources. Click the namespace you just created from the list. Select Shared access policies, and then click RootManageSharedAccessKey. Click the copy button to copy the RootManageSharedAccessKey connection string to the clipboard. In a temporary location, such as Notepad, keep a copy the Event Hub name and either the primary or secondary Event Hub connection string. The Logic App requires these values. 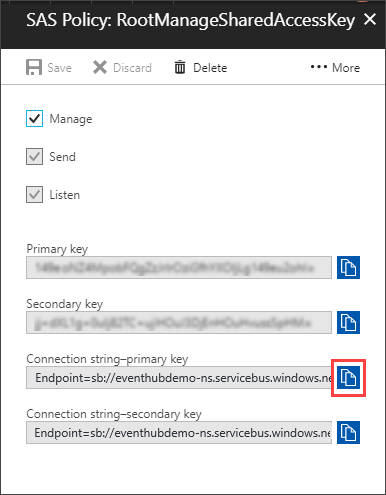 For the Event Hub connection string, you can use the RootManageSharedAccessKey connection string or create a separate one. The connection string you use must start with Endpoint=sb:// and be for a policy that has the Manage access policy. To enable streaming of the Activity Log, you pick an Event Hub Namespace and a shared access policy for that namespace. An Event Hub is created in that namespace when the first new Activity Log event occurs. You can use an event hub namespace that is not in the same subscription as the subscription emitting logs, however the subscriptions must be in the same Azure Active Directory. The user who configures the setting must have the appropriate RBAC to access both subscriptions. In the Azure portal, select Monitor > Activity Log. Select the Subscription to export from, and then click Select all in the Regions drop-down to select events for resources in all regions. Click the Export to an event hub check box. Click Service bus namespace, and then select the Subscription with the event hub, the event hub namespace, and an event hub policy name. Click OK and then Save to save these settings. The settings are immediately be applied to your subscription. Once the activity logs are writing to the event hub, you create a Logic App to collect the logs from the event hub and write them to the Log Analytics workspace. An Event Hub connector trigger to read from the Event Hub. A Parse JSON action to extract the JSON events. A Compose action to convert the JSON to an object. A Log Analytics send data connector to post the data to the Log Analytics workspace. 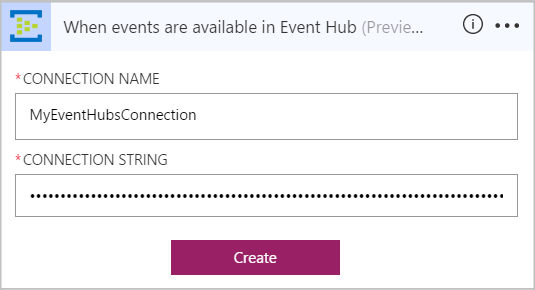 Event Hub connection string (either the primary or secondary) for the Event Hub namespace. 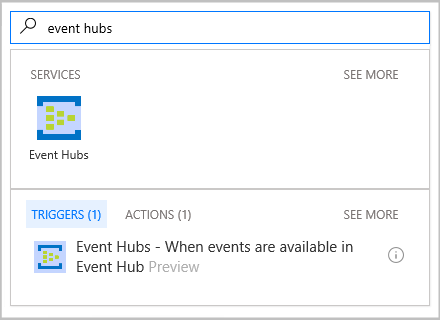 To get the event Hub name and connection string, follow the steps in Check Event Hubs namespace permissions and find the connection string. 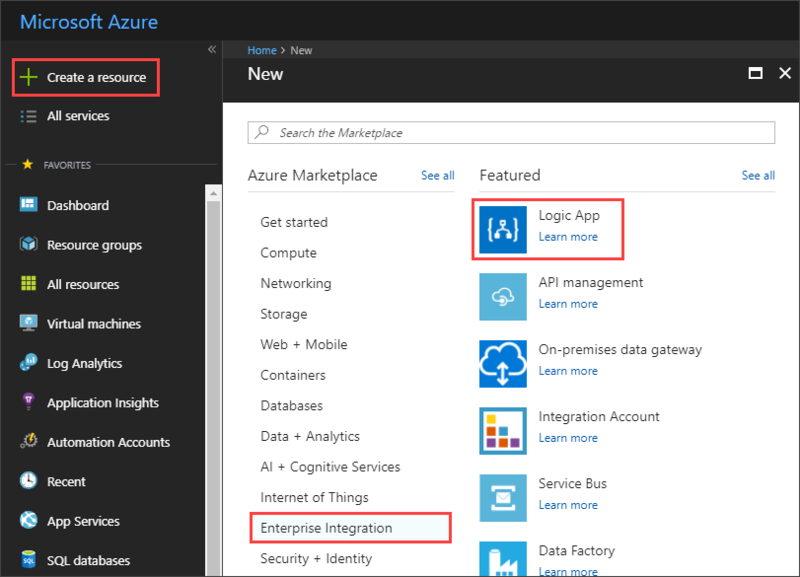 In the Azure portal, choose Create a resource > Enterprise Integration > Logic App. Enter the settings in the table below. Name Unique name for the logic app. Subscription Select the Azure subscription that will contain the logic app. Resource Group Select an existing Azure resource group or create a new one for the logic app. Location Select the datacenter region for deploying your logic app. Log Analytics Select if you want to log the status of each run of your logic app in a Log Analytics workspace. Select Create. When Deployment Succeeded notification displays, click on Go to resource to open your Logic App. Under Templates, choose Blank Logic App. The Logic Apps Designer now shows you available connectors and their triggers, which you use for starting your logic app workflow. In the search box for the Logic App Designer, type event hubs for your filter. 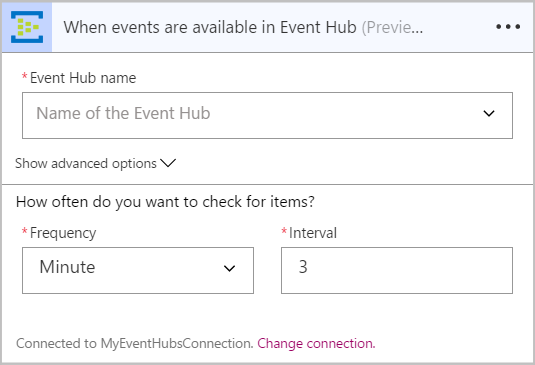 Select the trigger Event Hubs - When events are available in Event Hub. When you're prompted for credentials, connect to your Event Hubs namespace. Enter a name for your connection and then the connection string that you copied. Select Create. After you create the connection, edit the settings for the trigger. Start by selecting insights-operational-logs from the Event Hub name drop-down. The output from the Event Hub contains a JSON payload with an array of records. The Parse JSON action is used to extract just the array of records for sending to Log Analytics workspace. In the search box, type parse json for your filter. 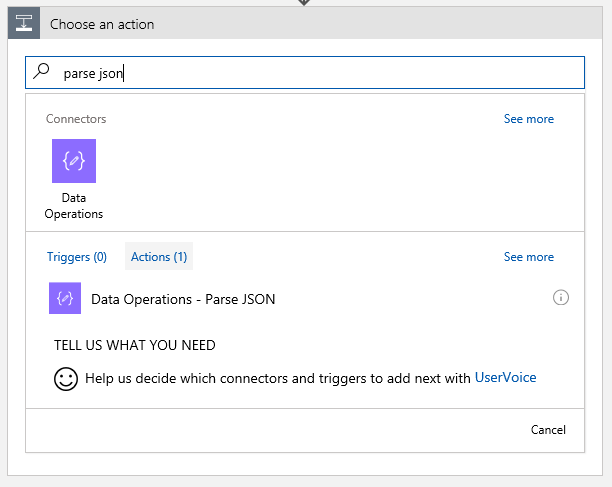 Select the action Data Operations - Parse JSON. Click in the Content field and then select Body. Copy and paste the following schema into the Schema field. This schema matches the output from the Event Hub action. You can get a sample payload by clicking Run and looking at the Raw Output from the Event Hub. You can then use this output with Use sample payload to generate schema in the Parse JSON activity to generate the schema. The Compose action takes the JSON output and creates an object that can be used by the Log Analytics action. 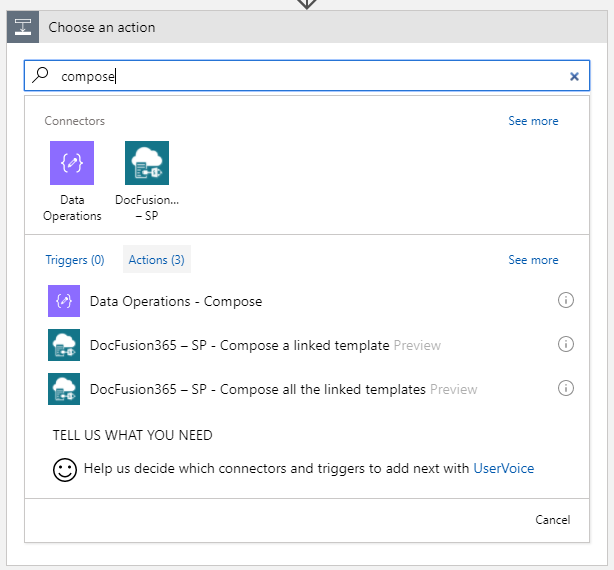 Type compose for your filter and then select the action Data Operations - Compose. Click the Inputs field and select Body under the Parse JSON activity. The Azure Log Analytics Data Collector action takes the object from the Compose action and sends it to a Log Analytics workspace. Type log analytics for your filter and then select the action Azure Log Analytics Data Collector - Send Data. Enter a name for your connection and paste in the Workspace ID and Workspace Key for your Log Analytics workspace. Click Create. After you create the connection, edit the settings in the table below. JSON Request body Output from the Compose action Retrieves the records from the body of the Compose action. Custom Log Name AzureActivity Name of the custom log table to create in Log Analytics workspace to hold the imported data. Time-generated-field time Don't select the JSON field for time - just type the word time. If you select the JSON field the designer puts the Send Data action into a For Each loop, which is not what you want. Click Save to save the changes you've made to your Logic App. With the workflow complete, you can test in the designer to verify that it's working without error. In the Logic App Designer, click Run to test the Logic App. Each step in the Logic App shows a status icon, with a white check mark in a green circle indicating success. To see detailed information on each step, click on the step name to expand it. Click on Show raw inputs and Show raw outputs to see more information on the data received and sent at each step. The final step is to check the Log Analytics workspace to make sure that data is being collected as expected. In the Azure portal, click All services found in the upper left-hand corner. In the list of resources, type Log Analytics. As you begin typing, the list filters based on your input. Select Log Analytics. In your list of Log Analytics workspaces, select your workspace. 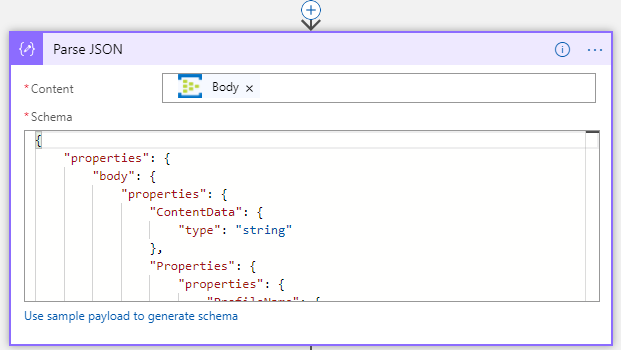 Click the Log Search tile and on the Log Search pane, in the query field type AzureActivity_CL and then hit enter or click the search button to the right of the query field. If you didn't name your custom log AzureActivity, type the name you chose and append _CL. The first time a new custom log is sent to the Log Analytics workspace it may take up to an hour for the custom log to be searchable. The activity logs are written to a custom table and do not appear in the Activity Log solution. 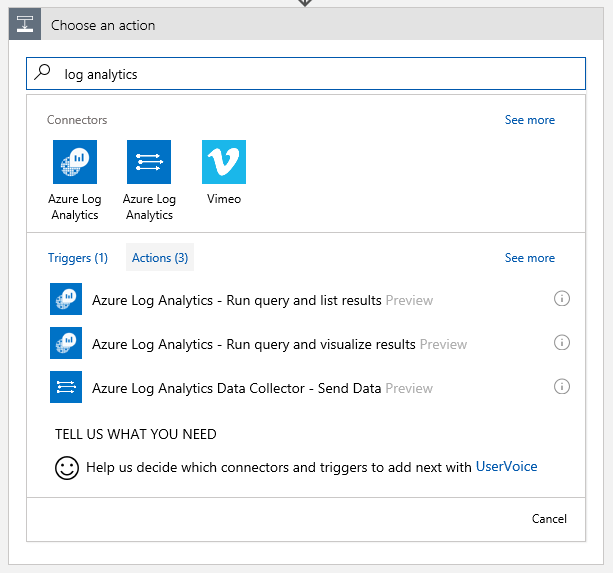 In this article, you’ve created a logic app to read Azure Activity Logs from an Event Hub and send them to the Log Analytics workspace for analysis. To learn more about visualizing data in a workspace, including creating dashboards, review the tutorial for Visualize data.